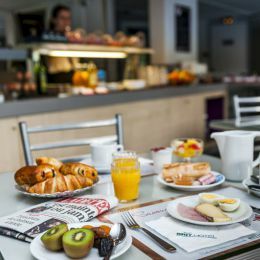 Brit Hotel rewards early bookers! 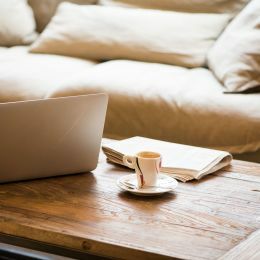 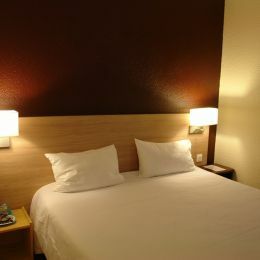 You’ll appreciate your time in our hotels even more knowing that you saved money on your booking. 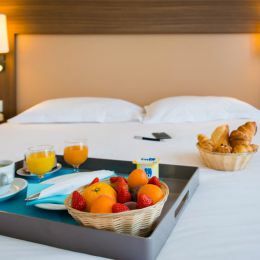 Choose tranquility and start booking your rooms early at interesting rates in our hotels! 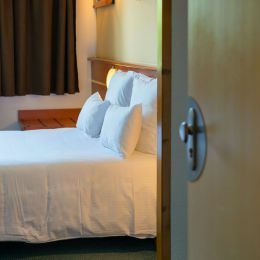 *Reservation non-refundable (payment at reservation), valid in hotels participating in the operation, subject to availability. 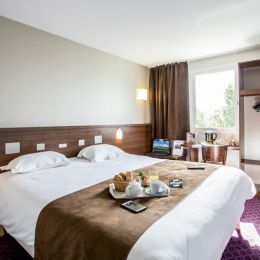 Ideally located, the BAN ** Brithotel welcomes you for a relaxing and relaxing stay in Chaudes-Aigues, in Cantal. 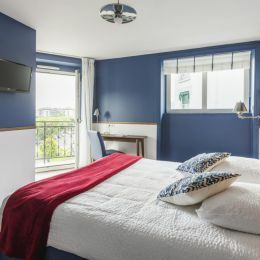 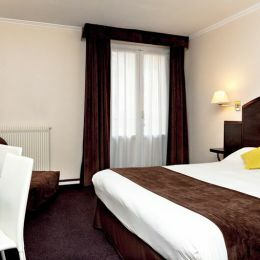 The Brit Hotel L’Hermitage is located facing the sea, in the city centre of Royan. 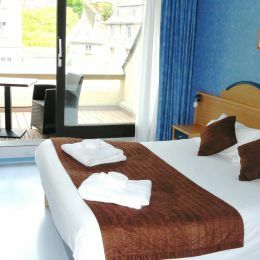 It has 25 rooms including 16 seaside rooms with balcony. 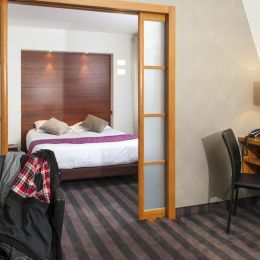 The Brit Hotel du Stade is a 3-star hotel with 63 comfortable rooms. 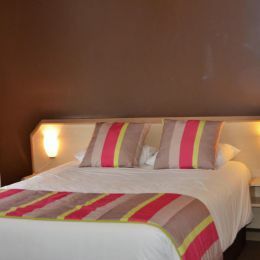 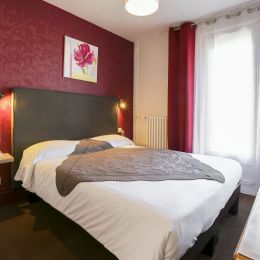 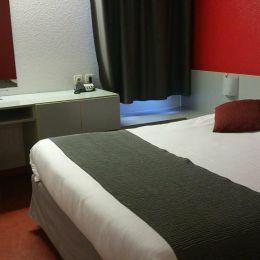 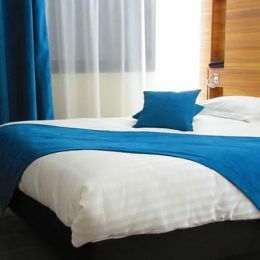 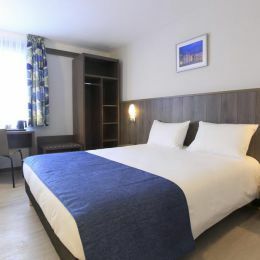 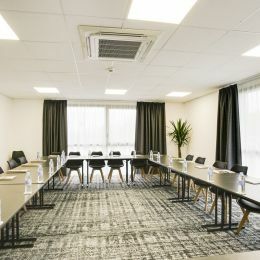 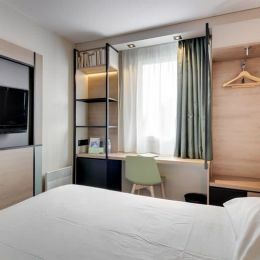 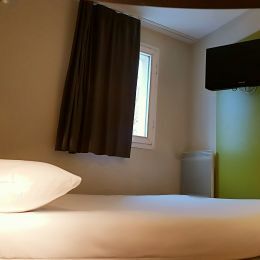 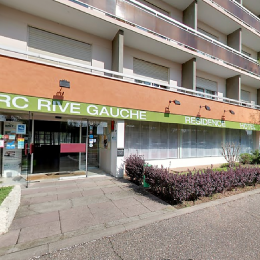 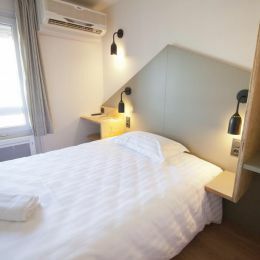 The establishment is located just 10 minutes from Rennes city centre. 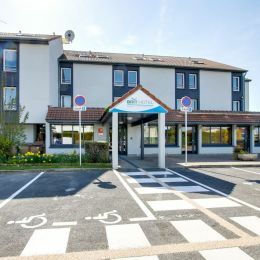 The Brit Hotel Les Evens is located north of Le Mans. 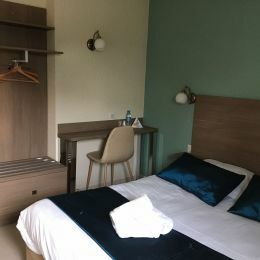 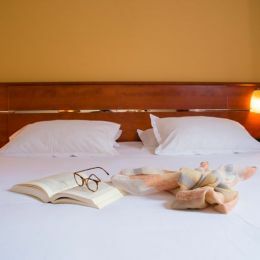 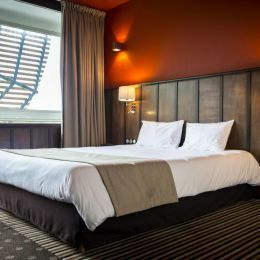 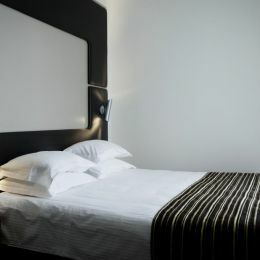 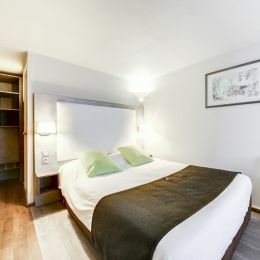 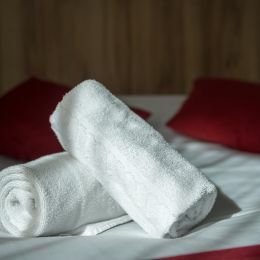 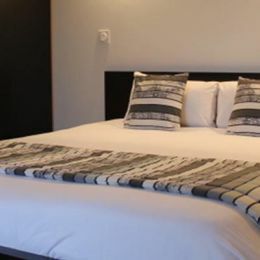 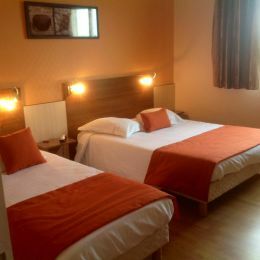 This hotel/restaurant has 48 comfortable rooms, given 3-star rating according to the new 2012 European standards. 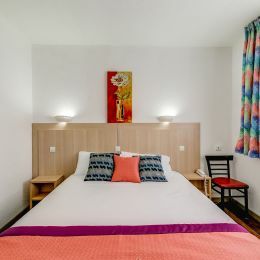 Located 1,100 metres above sea level, near the village of Besse-et-Saint-Anastaise in Auvergne (63) and 10 minutes away from the ski resort of Super-Besse in the Sancy Massif. 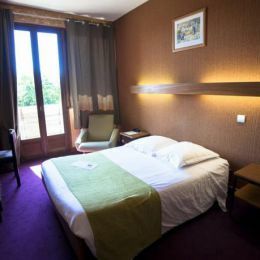 The Brit Hotel Plaisance is located in Narbonne, near the A9 and A61 motorways and the beaches. 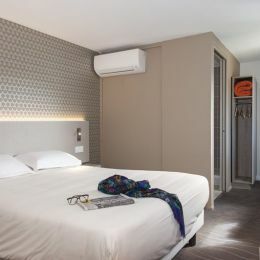 This hotel has 41 air-conditioned rooms. 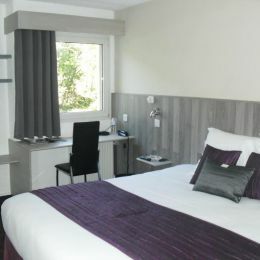 The Brit Hotel Saint Brieuc (ex La Pomme d'Or) is a hotel/restaurant located near Saint Brieuc. 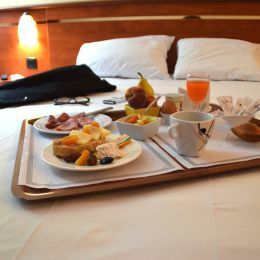 The hotel has 67 rooms and a restaurant. 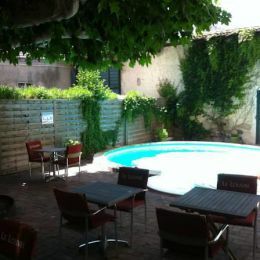 Located in the heart of Bergerac, the Brit Hotel Spa du Commerce offers 35 rooms as well as access to the spa centre. 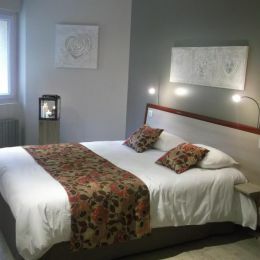 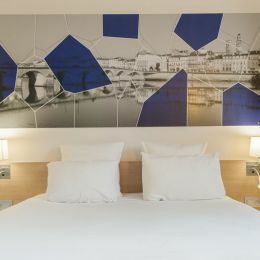 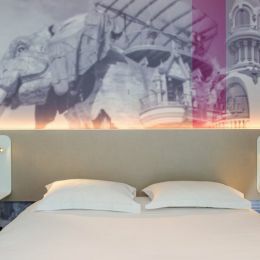 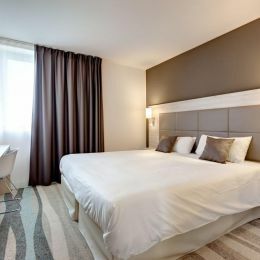 Discover the Brit Hotel Le Louvre located in Orange in the PACA region (Provence-Alpes-Côte d'Azur). 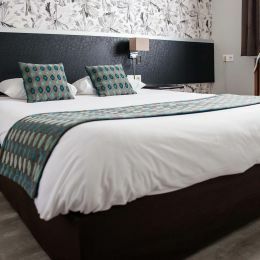 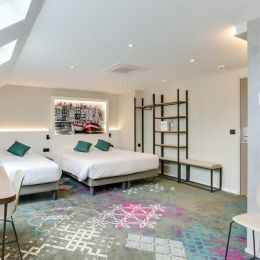 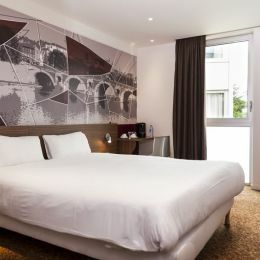 Ideally located between Angers and Nantes, the Brit hotel Akwaba has 56 rooms including 1 suite and welcomes guests in a very warm setting. 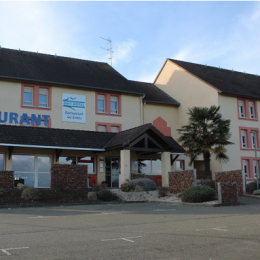 The hotel also has a restaurant called "La Route du Soleil". 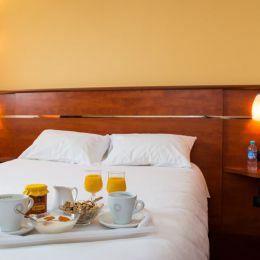 The Brit Hotel Sarreguemines is composed of 42 comfortable rooms. 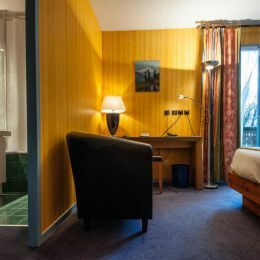 Quickly discover the Brit Hotel Florimont located in the municipality of Saint-Ferreol, between Annecy and Albertville. 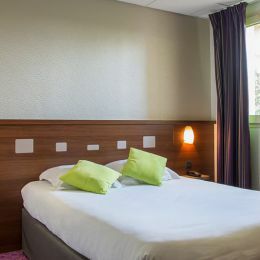 Discover our 53 room hotel south of Nancy. 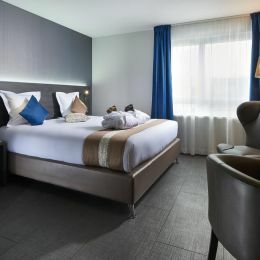 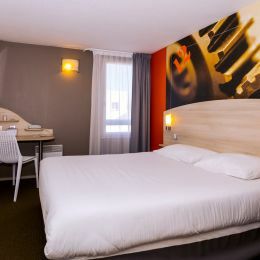 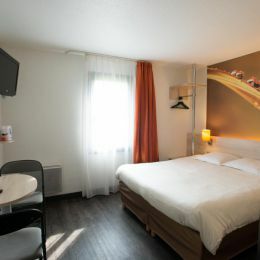 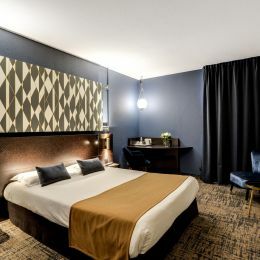 Discover our 38 rooms hotel in Gravelines and book at the best price.